The most famous Brazilian Carnival is the one from Rio de Janeiro, with “escolas de samba” (samba schools). But that isn’t definitely the only one. Another charming Carnival party happens in the countryside of Minas Gerais, a state located in the Southeast region of the country. 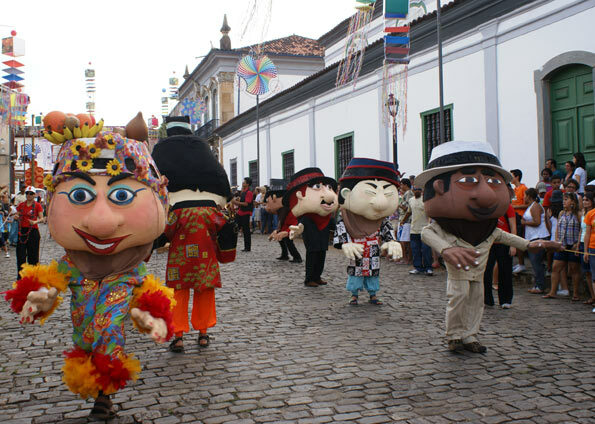 The so-called “historical cities” organize street Carnival, where groups of people in costumes dance along the streets singing classic Brazilian Carnival songs, the “marchinhas”. There is also a sort of Giant Puppet Parade that pays homage to old parties, criticizes the politicians as well as historical periods, such as the Military Dictatorship. One of the main cities is Ouro Preto, which is located 100 km far from the capital, Belo Horizonte. Ouro Preto was an important city from Minas during the colonial period because there was a lot of iron ore there. The city is enchanting for its steep slopes, the old streets and the houses that were built during the colonial period. 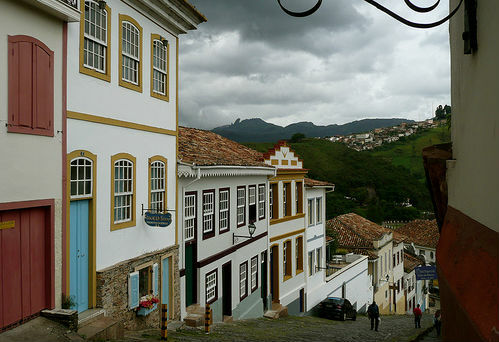 In Ouro Preto, there’s also an important university and there are more than 300 student´s houses. The city is still known by producing one of the best Brazilian “cachaças” and the delicious “doce de leite”. Esse post foi publicado em Cultura e marcado Brazil, carnaval, carnival, cidades históricas, historical cities, minas gerais, ouro preto. Guardar link permanente.